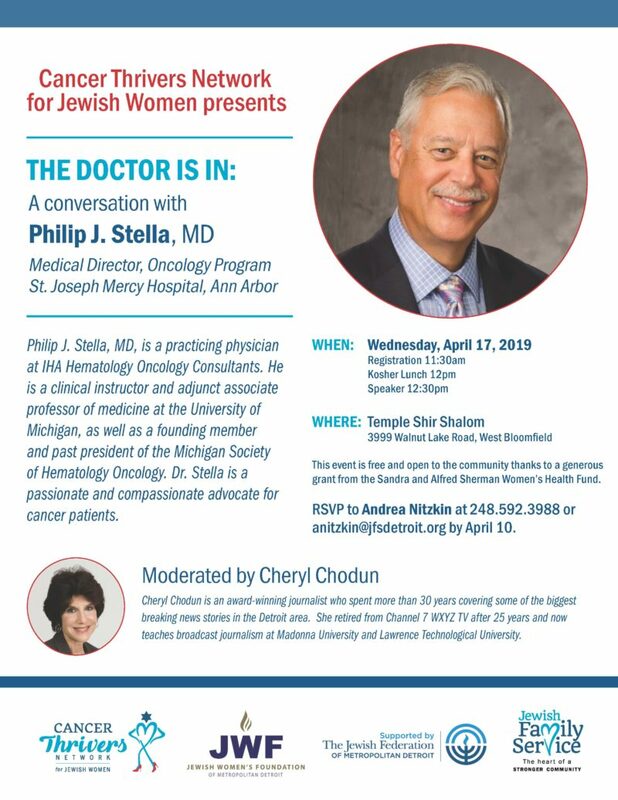 Join the Cancer Thrivers as they welcome Dr. Philip J. Stella, MD, Medical Director of the Oncology Program at St. Joseph Mercy Hospital in Ann Arbor for an informative conversation moderated by award-winning journalist Cheryl Chodun. This event is free and open to the community thanks to a generous grant from the Sandra and Alfred Sherman Women's Health Fund. Kosher lunch will be provided.